Bootsy reacted no differently than other music fans when he heard news of Prince’s death last month. He took it hard. 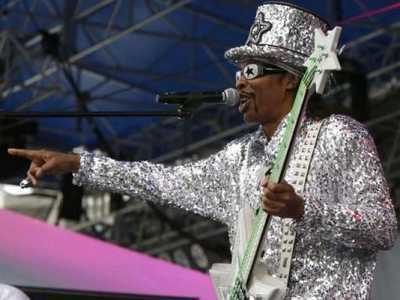 As hard as it is to picture the biggest name in Cincinnati music walking to the fridge in sweat pants and a bath robe, it is now revealed that the Bootsy Collins who takes it to the stage is not the same Bootsy who kicks it at home. Similarly, Collins says that there were two Princes and that his mysterious public persona differed from his private side. She first met the late superstar in 1997, when he gave the Rock and Roll Hall of Fame induction speech for Bootsy’s bands, Parliament-Funkadelic. Bootsy and Prince’s relationship went much further back. She says that Prince attended concerts by the P-Funk offshoot, Bootsy’s Rubber Band, in the 1970s before Prince was a household name. One of those concerts didn’t go so well for the budding Minneapolis funkateer. 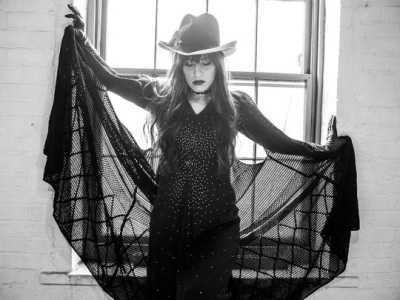 Patti says that Prince got his look from Bootsy and other funk musicians and remained a lifelong fan. Two years ago he asked Bootsy to open some shows for him, but Bootsy was already on tour and unable to take the gig. According to Patti, Bootsy reacted no differently than other music fans when he heard the news of Prince’s death last month. He took it hard. Patti says that fans of Prince gathered outside of Bogart’s, where Prince performed years ago, and that people were crying and playing his music. Bootsy and Patti wanted to do something in Prince’s honor, so when Michael Walter of Bogart’s suggested a Prince tribute featuring Bootsy’s Rubber Band, they said yes, and “Purple Reigns: a celebration of the music of Prince” was born. Bootsy’s band will be performing, but Bootsy himself will not. Patti says that he didn’t have time to rehearse for the show, because he’s too busy working on a new solo album, which will include contributions from Snoop Dogg, Stanley Clarke, Victor Wooten and Buckethead, among others, and is scheduled for release in 2017. Instead, Bootsy and Patti will serve as emcees on Saturday. Musicians participating in the tribute include former Prince sidemen John Blackwell and bass player MonoNeon, as well as local musicians Kelly Richey and Jess Lamb. For every ticket sold, Bogart’s will make a contribution to the Bootsy Collins Foundation, which works with local school kids in matters ranging from health to self-esteem. Before the performance, there is a VIP portion of the evening. For $50, fans can arrive before the concert begins. A DJ will be performing, and the VIP package includes photo opportunities, a ticket to the show, a commemorative lanyard, a Bootsy Collins DVD and a special prize. If a fan brings an instrument for donation, the VIP package costs $20. For more information, call Bogart’s at 513-872-8801.